Monthly Lenses Biofinity The Best Sellers in the Market! Biofinity is a lens that allows you to wear them for many hours. With the Biofinity format of 3 lenses , you will have to buy 2 boxes, whether you have the same or different graduation in the right eye and in the left eye. In this way you will enjoy contact lenses online for 3 months. Biofinity contact lenses combine a high transmissibility to oxygen with a high hydrophilicity, thanks to the Aquaform technology so we obtain a balance between the breathing of your eye and your comfort. On the one hand, being a material with a wettable nature, it dehydrates less and provides greater comfort, and on the other hand keeps the oxygenated cornea. We get an excellent result, the eye is well oxygenated, so it will be less irritated and whiter at the end of the day, with dry environments, it will dehydrate less so you will not notice dryness in your eyes, even with a bearing of many hours, and its edge design makes each flicker soft and comfortable. These Biofinity lenses are designed for a continuous use of up to 29 nights, which allows you to sleep with them without problem, although always under the adaptation of a professional vision, which indicates that you are a patient for continued use of Biofinity lenses. 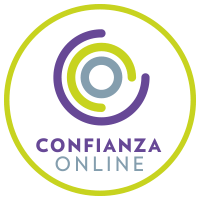 In Prodevisión you can buy cheap Biofinity monthly contact lenses easily, comfortably and at very competitive prices, enjoying all the purchase and security guarantees. We are a serious company with many years of experience in the world of optics (contactologists, we adapt lenses daily in our center). We are professionals. It is important to mention the maintenance fluid, usually called a single solution. This must be of quality (first mark, all liquids are not equal) and it is always possible to use it. A change of liquid can cause serious problems in the use of contact lenses. 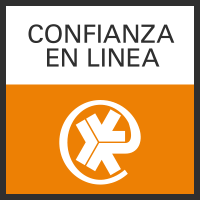 In Prodevisión we have the first and best brands of maintenance liquids on the market that assure you that they will take care of your eye and your Biofinity contact lenses with all the guarantees. When ordering your Biofinity contact lenses in Prodevisión, it is necessary that your lenses have been prescribed by an Optical Vision specialist or Ophthalmologist, from there, you must place your order by copying the parameters of your last box of Biofinity lenses that you have acquired, that is, the first adaptation has to be done by the professional who will assess vision, movement of the lens in your eye and also teach you the correct handling and maintenance of the lenses. Enjoy your cheap lenses, get rid of your glasses, in a few days you will have your contact lenses at home, make your order from home, your work or even your mobile phone easily and without moving, we take care of everything. 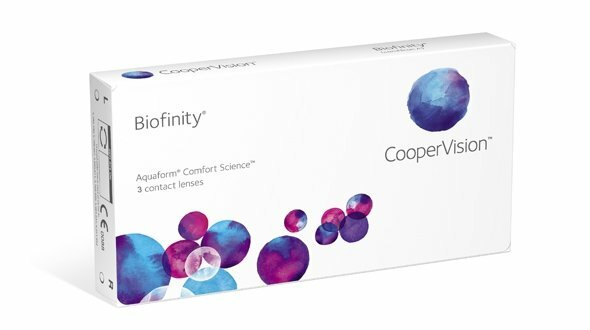 It is essential to follow all indications of use of the manufacturer (Coopervision) of Biofinity monthly lenses in terms of hours of use, care, handling and replacement. Regarding the replacement it is very important to respect it, given that, they are discarded a month after opening the blister in which they come from the factory (there are 30 sets, but 30 days after opening). These lenses with the passage of days accumulate deposits of tears, dust, environmental dirt, poor cleaning ... If the lenses are not discarded can trigger an eye irritation and consequently an allergic reaction. In Prodevisión we are vision professionals, we offer cheap biofinity lenses , so if you have any questions or problems do not hesitate to contact us. For our part, as specialized contactologists, we will be happy to help you as much as we can.